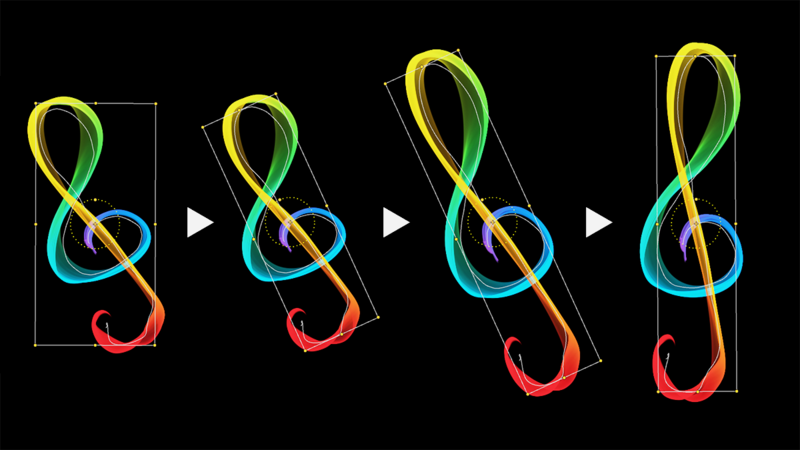 In the last days, we have written about the new design, brushes, painting modes and gradients. This blog is about the layers and all the new possibilities with them. 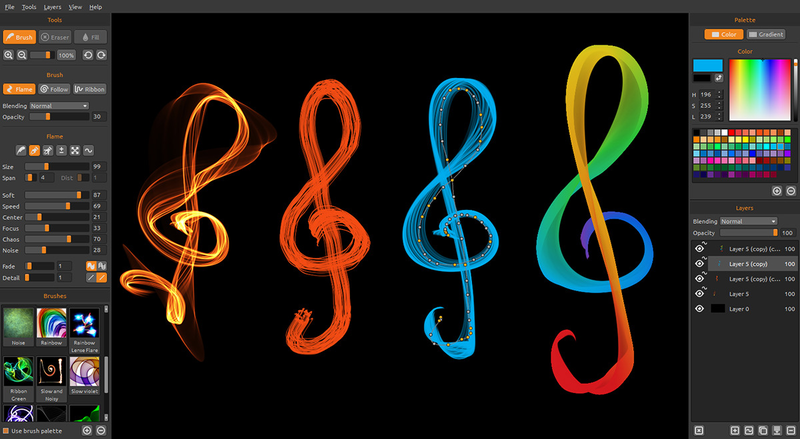 Flame Painter 2.0 is coming in two versions: Personal and Professional. In Personal you are able to add three separate layers. You can manipulate them many ways; they can be rearranged, you can duplicate them, or if you need some space, you can collapse more layers into one. You can import pictures or photos, paint over it and remove any layers that you don’t need. In the Professional version you can additionally make unlimited number of layers and you can also add editable Vector Layers. But.. what are the Vector Layers? One thing I miss, in every vector or bitmap or 3D editor is an advanced bounding box. One would say, what can be advanced on a bounding box? It can be rescaled or rotated and that’s it. You can resize it in X or Y axes in global or local coordinates and that is all what you can do. What I have always missed, is that many times I need to rescale the object in other angle than in local or global coordinates. So I’ve invented a wheel. :) A bounding box wheel. (The regular wheel was invented a few years before the bounding box wheel). With this little wheel you can rotate a bounding box in a direction you need and then rescale a curve or shape not only in local or global coordinates, but in any coordinate on this planet! The Flame Painter 2.0 has been made from the ground with the focus on intuitive use and with features that helps artist to enjoy creativity as much as possible. We hope you will like it. All this all will be available from 21st May, so do not forget to update and be among the first ones who can try this magic. Thank you for your support and your feedback. It is really the fuel for our work.